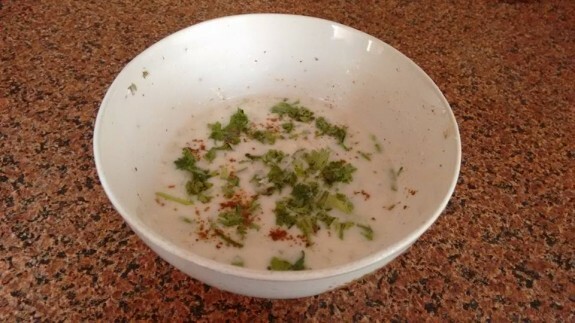 Raita is one of my favourite side dish to have during summer with my lunch or dinner. Mainly I make cucumber raita but my family also loves pomegranate raita, carrot raita, onion tomato raita, mint coriander raita and so many others which I use to make sometimes. Here, I am showing Cucumber Raita with some flavours and taste. 1. Rinse and peel the cucumber and finely chopped it. If you want, you can also grate the cucumber. 2. Take a bowl and beat the chilled yogurt till it smooth. 3. Add grated cucumber to the curd and mix well. 4. Now add all dry spice powder, little sugar and black salt. Mix well. 5. Add chopped coriander leaves and mix well.